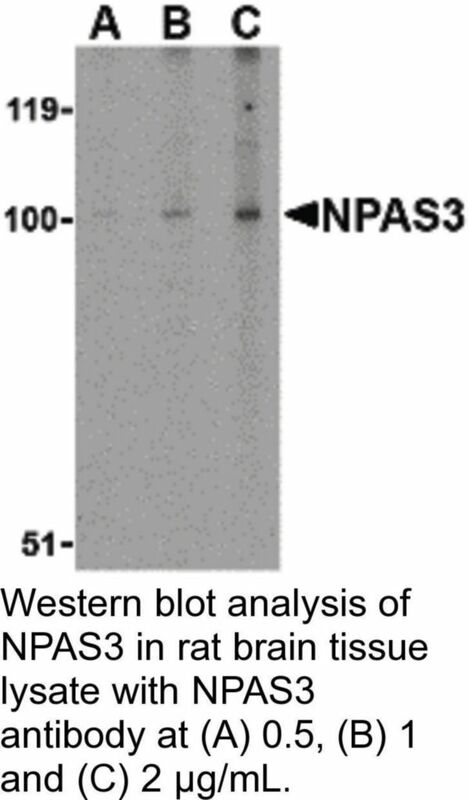 NPAS3 Antibody: Neuronal PAS domain protein 3 (NPAS3) is a brain-enriched basic helix-loop-helix PAS domain transcription factor and is broadly expressed in the developing neuroepithelium and has recently found to be disrupted by genetic translocation in a family affected with schizophrenia. 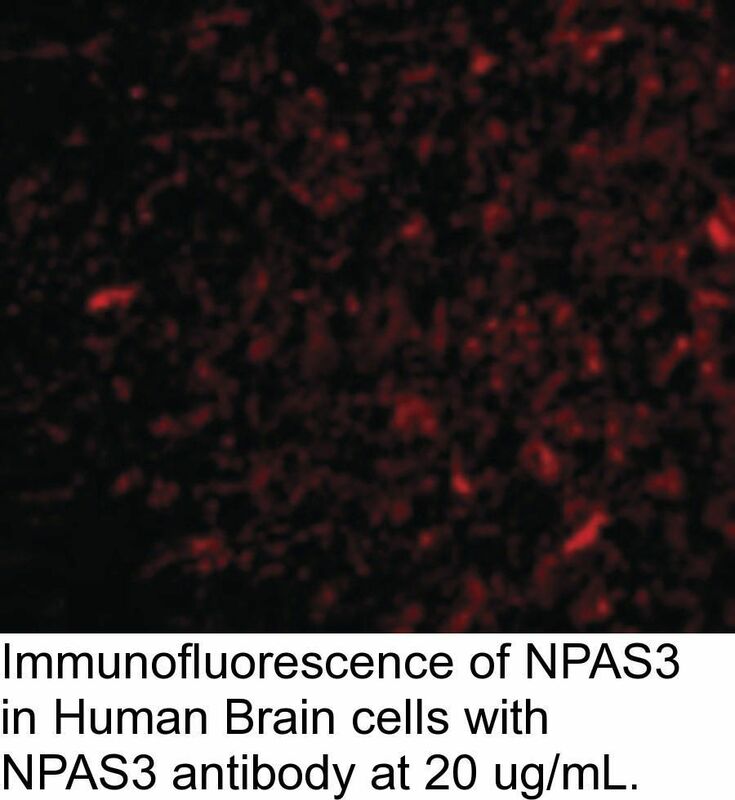 It was recently shown to be involved in the regulation of FGF signaling in the dentate gyrus by controlling the expression of the FGF receptor subtype 1 and in turn neurogenesis emanating from this region. 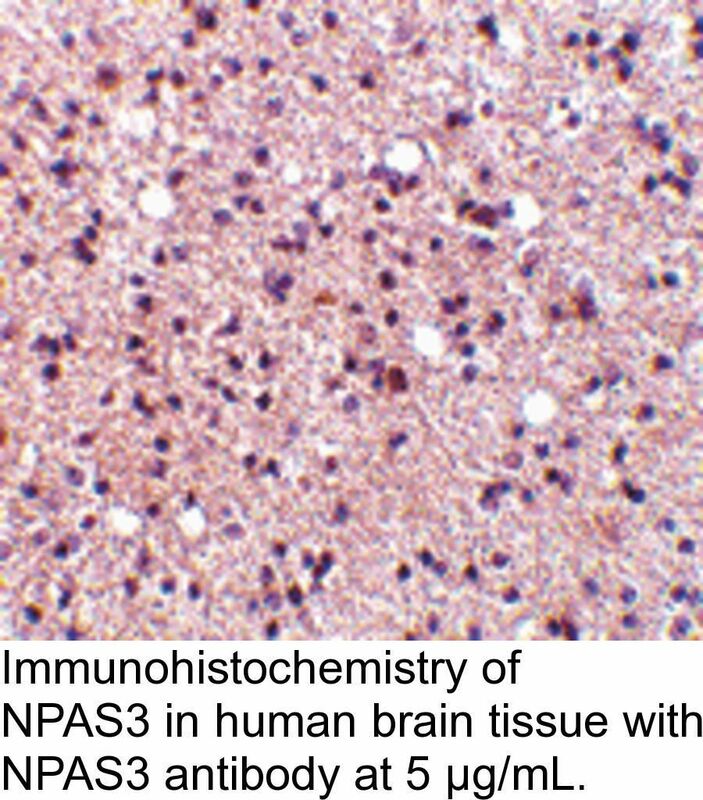 NPAS3-null mice were growth-retarded and displayed brain defects that included reduced size of the anterior hippocampus, hypoplasia of the corpus callosum, and enlargement of the ventricles, as well as several behavioral abnormalities. 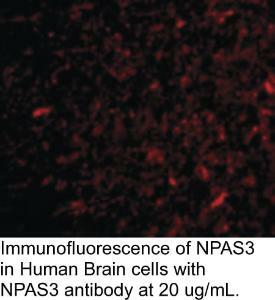 Furthermore, these NPAS3-null mice also exhibited disruptions in several neurosignaling pathways involving glutamate, dopamine, and serotonin. 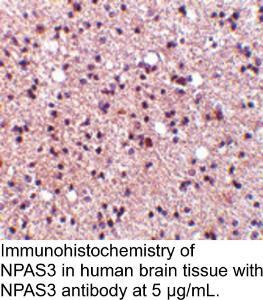 These results demonstrate the essential role played by NPAS3 during structural and functional brain development. 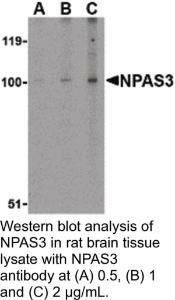 At least three isoforms of NPAS3 are known to exist.